City of Keizer, Oregon - How Do I? To learn more about adopting a street, please click here. All your right of way permitting questions can be answered by clicking here. Interested in serving as Youth Councilor, Youth Committee Liaison and/or Youth Page? Click here. 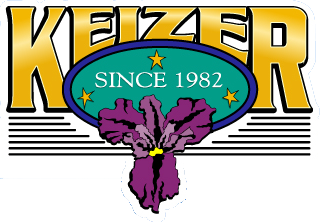 To apply for an open position with the City of Keizer see our Employment Process. The Keizer Community Gallery inside of the Keizer Community Center is a large and beautiful space provided as a rotating gallery space. ANY artist or artist association can display their original work in this space at NO CHARGE by contacting our Community Development Director, Nate Brown at 503-390-3437 or clicking here. 2 separate gallery spaces; the North gallery space which can accommodate up to 40 pieces (size dependent) and the East gallery space which can accommodate up to 20 pieces (size dependent). Display terms are for 60 days and must be scheduled in advance to allow for review and approval of work to be displayed. If you are interested in displaying a sculpture in Keizer, please contact our Community Development Director, Nate Brown at 503-390-3437 or click here. To view the policies related to the display of art, please click here. The Keizer Police Department has a medical waste disposal receptacle in their lobby - available 8 a.m. to 5 p.m. For more information please click here. Clicking here will take you to our Code Enforcement page where you can find answers to your questions and access the complaint form. Clicking here will take you to the actual Code Enforcement Complaint form. The League of Oregon Cities Open Data Portal has a wealth of information. To access that web page please click here. To view the current year's Annual Drinking Water Quality Report, click here. To learn about Peer Court and access those forms, please click here. Information on water, sewer and stormwater utility bill payments can be found here. To access forms and information about planning your event in Keizer, please click here. You may purchase a personalized picket at the Big Toy playground through the Keizer Parks Foundation by clicking here. Emergencies should be reported by calling 9-1-1. If it is not an emergency, contact Dispatch at 503-390-2000. To send an email report of the needed repair, please click here. To send an email reporting a street light outage, please click here. Clicking here will take you to our webpage that has all the information and forms you will need to reserve the amphitheatre. For information on reserving a room at the Community Center, please click here. Sign up to receive agendas? Information about a variety of volunteer opportunities, the selection process and a variety of forms can be found by clicking here. Watch a City Council, Planning Commission or Parks Advisory Board meeting. 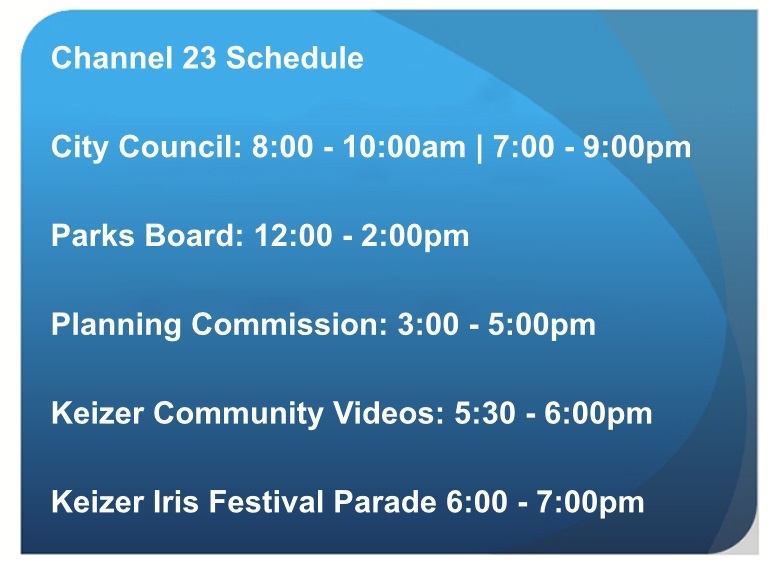 Council, Planning Commission and Parks Advisory Board meetings are all televised on K-23 Television or you can watch them on your computer by clicking the KeizerTV logo at the bottom of the website page or clicking here. Watch an Oral History interview? Click here to see all Oral History interviews.